Win a case of wine for Dad worth $210! This competition is now closed. Congratulations to our winner, D. Royce. Give Dad a copy of the Cook’s Companion App this Father’s Day and you could WIN one of Stephanie’s favourite wines! 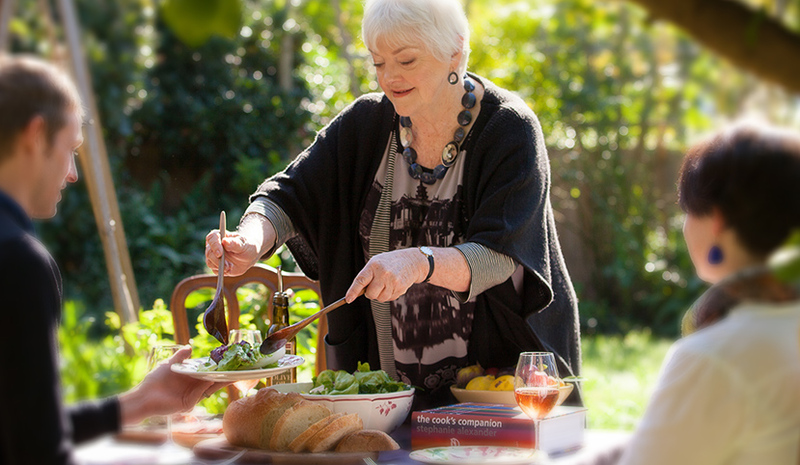 The Cook’s Companion App (AUD$49.99) is the perfect gift for a food-loving Dad. With over 2,000 recipes, extensive cooking advice, hundreds of photos and 10 how-to videos, he’ll love having easy access to this classic work on his tablet or smartphone. 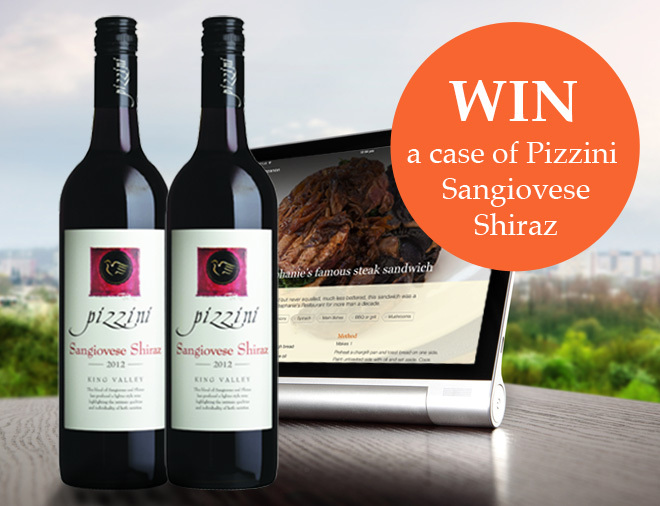 Simply purchase the Cook’s Companion App for Father’s Day and you could win a case (12 bottles) of 2012 Pizzini Sangiovese Shiraz, valued at $210, including freight to anywhere in Australia. Entries close at 12.00am AEDT on 11 September, 2014. Purchase a gift copy of The Cook’s Companion App from the App Store (full instructions for gifting available here) by Sunday 7 September. Purchase a Google Play gift card for dad. Ask him to purchase a copy of The Cook’s Companion App by Wednesday 10 September and forward the email from Google Play showing proof of purchase to social@stephaniealexander.com.au. Once the winner has been judged, we will be in touch by email to arrange shipping. Please note that delivery may take up to 10 days. Weather has been very much on my mind. The first almond blossom is a marvellous moment promising that spring is just around the corner. Before spring had actually sprung in Melbourne I had a few days in Noosa, anticipating sunshine, walks in the national park, and lazy lunches. Well there was one day like that and then the sky went black and the rains came, and stayed. There was 7 inches of rain in a few days and it was cold! We even had a fire. Still time for some lovely lunches. The linguine with spanner crab and the passionfruit roulade with Turkish delight icecream that I had at Pitchfork Restaurant at Peregian were both quite wonderful. Recently I moved from my home of 30 years in to a brand new apartment, so it’s fitting that my digital home now has a fresh new look, too. Together with the team at Gozer Studio, I have tried to create a space that reflects my passions in words and pictures. 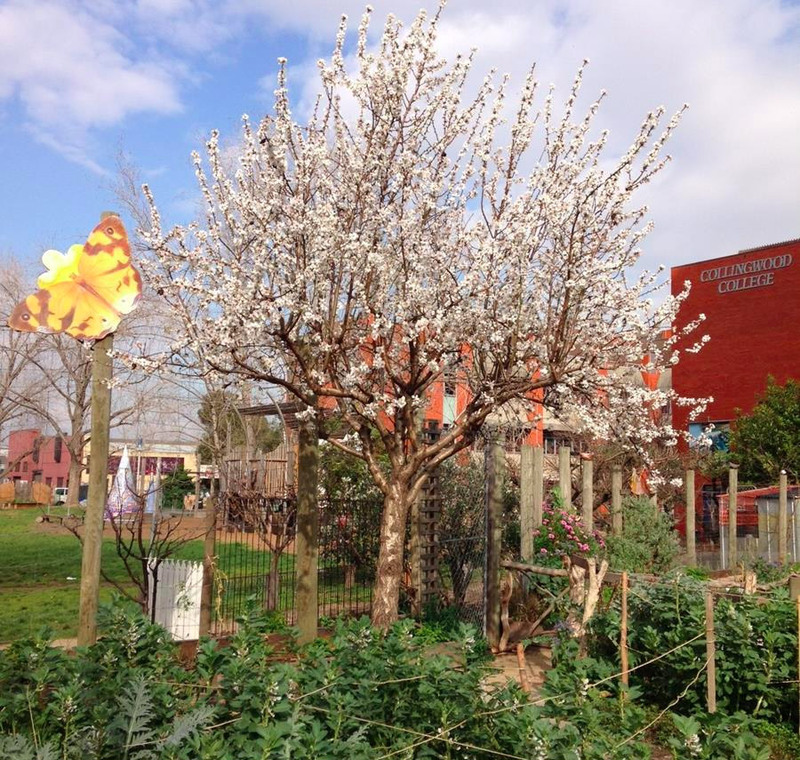 Many of the photos that appear on the website were taken in the lush edible garden that I tended for decades in my previous home. These photos will serve as a connection between the past and the future.